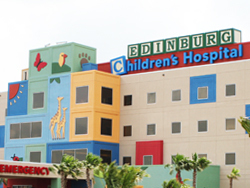 Edinburg lies at the epicenter of one of the most dynamic regions and MSAs in North America. Together with McAllen, Mission and Pharr it is a region that is keeping pace with the speed of change. 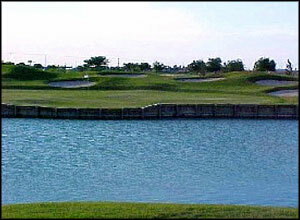 Edinburg is located in the Rio Grande Valley, a four-county area. Edinburg is the county seat of Hidalgo, the seventh largest county in Texas and is home to the University of Texas-Pan American, the state�s tenth largest public university. Centrally located within one of the largest trade corridors in the world, Edinburg is also the gateway to U.S. 281, which is being transformed in to Interstate 69 or the NAFTA Highway. Edinburg is the educational and technological capital of a Texas-Mexico border region. With a population of more than 2 million, this region has the highest concentration of people between the ages of 18 and 24 in North America. The result is an excellent and trainable workforce and one of the largest concentrations of Maquiladora plants along the U.S.Mexico border. Its population is larger than South Dakota, Delaware, North Dakota, Vermont, Alaska, and Wyoming. With a land area of 11,122,712 square kilometers, the Rio GrandeValley is almost twice the size of Delaware and four times the size of Rhode Island. In 1999, more than 54% of all trade between Mexico and the United States made its way through South Texas ports of entry. Edinburg is a pro-business community with an excellent quality of life, educational facilities and strong civic pride. By tradition, Edinburg is a Democratic stronghold that has reflected county politics. The governing body consists of five commissioners, including the mayor, who administers through a city manager. 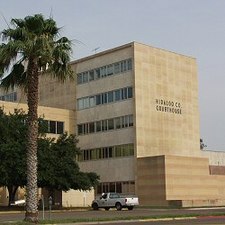 State institutions and agency offices in Edinburg include the Texas Department of Human Services, a Texas National Guard company, the EvinsRegionalJuvenileCenter, the Texas Employment Commission, and the Texas Rehabilitation Commission. In 1976 the city became the home of the South Texas Symphony Association, which sponsors the Valley Symphony Orchestra, the Valley Symphony Chorale, and the South Texas Chamber Orchestra. The University of Texas�Pan American, founded in 1927 as a junior college, is in Edinburg. It had an enrollment of some 17,435 students for the fall of 2007, and offers both undergraduate and graduate programs. Also located in the city are Region One Educational Service Center, the Edinburg Consolidated Independent School District, and the Rio Grande Bible Institute. During the late twentieth century Edinburg had an annual population growth of 3.4 percent. The 2000 population was 48,465. Edinburg has been recognized as an All-America City three times by the National Civic League, placing it among a handful of outstanding communities in the nation. Under the auspices of The University of Texas System, it will soon open the first major Medical Research Center along the US � Mexico border. The City of Hidalgo, on the Rio Grande, was the original county seat. John Closner and William Briggs, who had land-development projects in the vicinity of Chapin, seventeen miles north of Hidalgo, made Chapin county seat. The town site was named after Dennis B. Chapin, another of its promoters. Chapin's involvement in a homicide caused a change of name in 1911 to Edinburg, in honor of the birthplace in Scotland of John Young. The town grew slowly to some 800 inhabitants by 1915 and remained unincorporated until 1919. During its early years it served a ranching community, but the arrival of irrigation in 1915 initiated an agricultural economy. Edinburg quickly became a center for buying and processing cotton, grain, and citrus produce. Other economic developments before World War II included vegetable, sorghum, corn, sugarcane, and poultry (eggs) industries. After the war the economy diversified further to include peach and melon production, food-processing plants, cabinetry, oilfield equipment, concrete products, agricultural chemicals, and corrugated boxes. In the 1970s tourism increased significantly. The first railroad service in 1909 was a spur line of eight miles, extending from the one connecting Brownsville and San Juan. Seventeen years later the city received direct rail connections with Corpus Christi and San Antonio. After highways and trucks replaced rail service, Edinburg benefited from its location on a major highway intersection. By the 1980s the city's trucking industry numbered six commercial freight lines and two bus lines. The city has been named the "gateway city" to the Rio Grande valley. Edinburg's first radio station started in 1947 and by 1960 served both a Spanish and English listening audience. In the 1970s and 1980s three more stations were established. An influx of people from both Mexico and various parts of the United States has given the city an ethnic and religious mix. Hispanics constitute 80 percent of the population and well over two-thirds of them are Catholic. The Protestant influx made its first appearance with the founding of the FirstBaptistChurch in 1912. Other Protestant denominations arrived later and included the Disciples of Christ, Lutherans, Presbyterians, Methodists, Pentecostals, Christian Scientists, Seventh-day Adventists, and the FirstFoursquareChurch. In 1946 the Rio Grande Bible Institute started its work of training Protestant ministers for Latin America. The first Catholic Church, the SacredHeartChurch, did not open until around 1926. Two others were added later to serve the growing Catholic population. The major historical landmark of Edinburg is its former city hall, erected in 1909 and located near the northwest corner of HidalgoPlaza in front of the county courthouse. The plaza has a bust of the Mexican independence leader Padre Miguel Hidalgo y Costilla, after whom the county is named. The building, originally the county jail, has a trap door for hanging that has been used only once. Later the building became a city hall, and in 2005 it housed the county historical museum. Edinburg is also the home of the Coyotes, a minor league baseball team in the United Baseball League and Medal of Honor recipient Sgt. Freddy Gonzalez. Edinburg, Texas, it�s a city moving at the speed of change. We�re hoping you�ll come along for the ride.